I guess I would be curious what sort of investigation the police did. You and others are right that you can’t just detain someone, but what exactly was the interaction between her and the police? And what did they do to prepare YouTube? It’s frustrating for me that in these last two shootings law enforcement was tipped off and didn’t do much to prevent them. and yet, whenever they shoot and kill an unarmed black man, they are completely justified, and should not be second-guessed. support our men in blue. Did not, or legally could not? You want to remove people's rights by doing something so that you can keep your fun guns. How is that better than tightening up the 2nd? Honestly? You are suggesting that we ignore people's rights and jail them up for mere threats. So that we can have high capacity magazines and fast firing rates. Why should we compromise more of the rest of the Amendments for your fun? drew don't care about other people's rights. unless they own a gun. Last edited by rufus; 04-04-2018 at 02:56 PM. Peter Criss (Paul Stanley?) in the green room before putting on his KISS makeup. Wrong. See my posts from yesterday. That's the thing, there's no evidence that the cops did anything wrong here. It's just post-hoc criticism because Drew doesn't want common sense gun laws. Doesn’t CA have the strictest gun laws in the country? 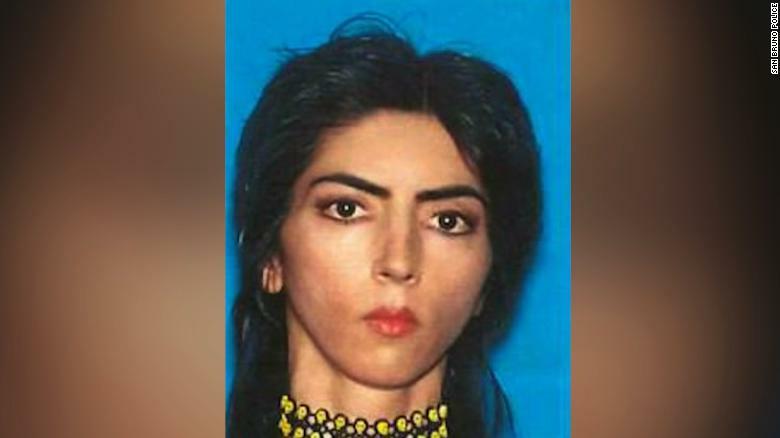 Would tipping YouTube off violated the shooter’s constitutional rights? As I posted earlier I’m not looking for the police to do anything that violates anyone’s constitutional rights. As you said they are all important. What info did they have to legally tip off anyone? You can't just make something up- she told the cops who talked to her that she was looking for a job. This isn't Minority Report where someone can see you doing something bad, and we lock them up. Besides, she didn't get into the front door of YouTube- which is guarded just like every other company. If we are going to coulda, woulda, shoulda, perhaps if there were more steps in getting guns, similar to the work it takes to get a driver's licence, she would have had second thoughts and not done it. But we will never have that conversation for real, thanks to people like you who claim that barriers are the same as them coming for your guns. And your hard headed position may actually lead to the repeal of the 2nd, based on how popular opinion is trending. So your groups insistence of doing nothing may lead to you losing your guns very legally. Too bad you've been brainwashed by this version of the NRA and not the one that around +50 years ago- who recognized that gun control was a good thing. Someone posted a comment on New England Patriots wide receiver Julian Edelman’s Instagram threatening to shoot a school. Another follower DM’d Julian Edeleman saying he should reach out to authorities. He did, police tracked it to a kid in Port Huron, MI. Went to the house, found two rifles there. Didn’t her family tip off the police that they were worried she was going to go shoot up the place? I would think that would be enough probably cause to take the proper precautions. I’m okay with a drivers license type scheme but it shouldn’t cost any money. It cost me a couple hundred dollars to be able to have some of my guns in mass which wasn’t a problem for me, but not everyone is as lucky as I have been. You don’t have to pay to vote and shouldn’t have to pay for any constitutional right. I’m nowhere close to being as extreme as you would like me to be. The police had no indication that she was going to do anything violent and they would need something credible to act on. You’re literally arguing for fourth amendment violations to keep the antiquated one about militias that no longer exist in the context of which it was written. Wow. That slick juxtaposition almost slipped by. We are talking about driver's licenses, not voting. I had to pay for my driver's license. In fact I have to pay to renew it every time it expires. 20 years ago. It was 1999 that none other than Wayne LaPierre testified in Congress that we needed to close every loophole and enact common sense gun control with "no exceptions." Somehow that turned into "Everyone has a right to carry a rocket launcher if they want." I never said that. This goes back to my stance on attitudes towards gun violence. Her solution was to simply pick up a gun and start shooting. That is the tough, tough issue that we have to address. And there is no solution in sight. Her solution was to simply pick up a gun and start shooting. Perhaps because guns are so easily accessible? *sigh* once again, that is a band-aid, and even with my preference for mental health screenings, in this case, it *probably* wouldn't have made a difference. The only thing I can think of is that cool-down law, where the police can confiscate weapons for 48 hours (?) if they thought there was a threat. And yet it's a bandaid that works pretty much everywhere else in the world. Drivers license scheme is not a right. What part of "shall not be infringed" do people not get?